The Big Wobble: A near miss! 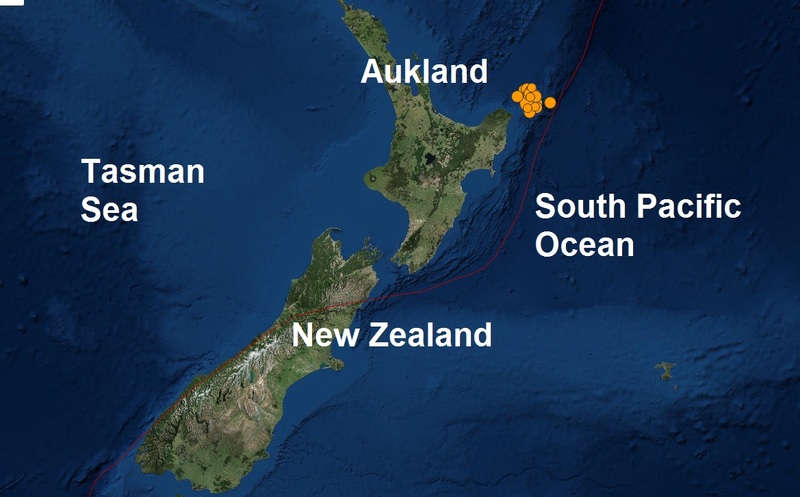 New Zealand hit by many large aftershocks as mag 7.1 quake causes tsunami warning. The east coast of New Zealand was hit by a powerful 7.1 magnitude earthquake before dawn on Friday, generating a small tsunami, but officials said there was no significant damage or injuries. But less than three hours later they were advised they could return home after a 30-centimetre (one foot) tsunami was detected. "The greatest wave height has already occurred, further waves are anticipated to be up to 20 centimetres," the Civil Defence organisation, which is responsible for national emergency management, said. "Areas under 'marine and beach threat' can expect unusually strong currents and unpredictable water flows near the shore. This means a threat to beach, harbour, estuary and small boat activities." "We haven't heard any reports of injuries or damage at all," she said. "There was power out in a few places but we've been let off pretty lightly as far as damage goes." The shallow tremor, off the coast of New Zealand, was estimated at a depth of around 30 kilometres (18 miles), according to the US Geological Survey. It struck at 4:37am (1637 GMT) and was centred 167 kilometres (103 miles) from the nearest main town, Gisborne, which has a population of around 45,000. You could check the spelling of Auckland on the map Gary!